Rich with its diverse culture and lush forests, Assam is one state that is close to nature in every sense. For those who love wildlife tourism, Assam has a lot to offer. This northeastern state shares its borders with Bhutan and Arunachal Pradesh in the North, Nagaland and Manipur in the East and Mizoram in the South. Assam is known for its wildlife tourism. The National Parks and other sanctuaries are the core of tourism in Assam. These national parks are home to many rare wildlife species and also provides a lot of scope for adventure tourism. Kaziranga Wildlife Sanctuary is one of the prominent attractions that Assam Tourism has to offer. 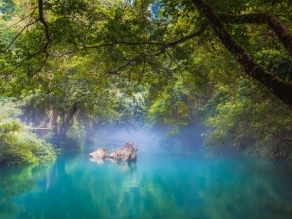 It has been recognized as a World Heritage Site by UNESCO and is home to many rare wildlife species in the world that include the Indian rhinoceros among many others like the Golden Langur, the Bengal Florican, the Pygmy Hog, the White-winged Wood Duck, etc. The national park also has the highest density of tigers in the world. One can also see a lot of birds that include scavengers, migratory birds, predators, water birds and game birds. Apart from the Kaziranga Wildlife Sanctuary, the Manas National Park is also a UNESCO Site that boasts of its biodiversity. Manas is the first tiger reserve project of the country and is also home to several other wildlife species as well. It is also known for its scenic beauty and is being well preserved.Some of the other National Parks in Assam are the Pobitora Wildlife Sanctuary, Orang National Park and Nameri National Park. Apart from the rich wildlife that Assam tourism offers, it is also known for its temples and monuments. Since people of different races and culture have migrated to Assam from different parts of the country, it is a perfect blend of many cultures. 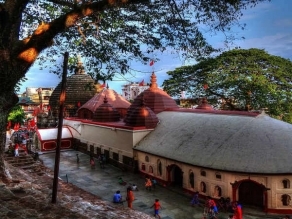 Some of the important religious centres of the state are the Kamakhya Temple, Umananda Temple, Navagraha Temple and the Satras among the other religious places. If you love adventure, this is a place you would never get bored of. Assam Tourism offers a wide variety of adventurous activities to the tourists like River Cruise, River Rafting, Angling, Mountaineering, Trekking, Mountian Biking, Para Sailing and Hang Gliding. There are a number of golf clubs for you to try your expertise or even learn golfing. Assam is a state of fairs and festivals. Most of their festivals represent their rich culture, beliefs and their traditional lifestyle. Some of the major festivals of the state are Bihu, Rongker, Baishagu, Jonbill Mela and Baikho among the others. Assam is well connected to the other states by air, rail and road. The Lokapriya Gopinath Bordoloi International Airport is located in Guwahati. The airport is connected to most of the metropolitan cities of the country. The state has a convenient railway network as well as a roadway system that connects with all the major cities of the nation.